In my studio students arrive with a goal to perform or to audition. I make sure each student implements the tools to help them perform at their best. This includes Conscious Thought, Conscious Posture, and Conscious Breathing. All three are inter-related and effect each other. Conscious Thought: We must have confidence that we can sing! Do not allow negative, critical thoughts to enter. Do not allow comments from jealous people to enter. Your thoughts are more powerful than others’ words. Be your best fan, not your worst critic. Most importantly, have fun when you perform! This is your moment to shine. With Conscious Thought you stand proudly and breathe deeply. 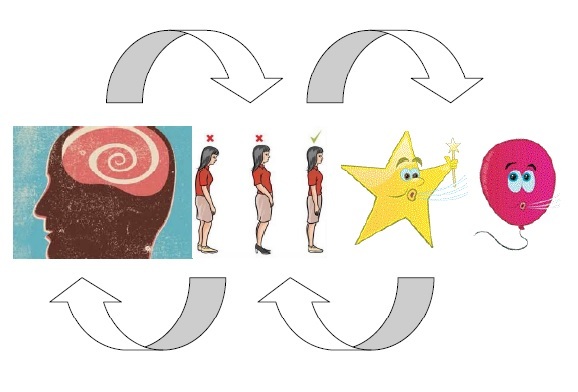 Conscious Posture: Conscious Posture and Conscious Breathing go hand in hand. Good posture centers your breath and your thoughts. It’s a physical manifestation of your total being, which you must have when you perform. Conscious Breathing: Fear causes us to breathe shallow. Conscious Breathing allows us to breathe more deeply, and have plenty of air for every phrase we sing. And, it calms us! So, when performing remember to breathe! Mastering these three AcapellaDiva actions keep your mind, body, and breath centered resulting in a dynamic, expressive performance with proper pitch and luscious tone.